I was browsing through the 255N Facebook group when someone posted this comment that got a good discussion going. One day I hope to see limitations placed upon the Acquisitions and Logistics communities that limit their ability to purchase fielded solutions that contain equipment and technology that are not trained at the schoolhouse. By limiting what can be purchased we maximize the efficiency of our schoolhouse training efforts and ensure Soldiers within our units can better serve their customers. We don’t teach our Soldiers Juniper, Brocade, Palo Alto, VMWare, Riverbed, Firepower, Dell switching or Jabber so why do we field it to them? There were several great points that were brought up in the conversation and I posted a short answer myself but I thought that the topic deserved a little bit more discussion. I first entered the Army in July 1999 and was training as a 31F (later 25F) and learned how to operate things like a Small Extension Node (SEN) and a Node Center (NC) for the Mobile Subscriber Equipment (MSE) network. MSE first appeared in the Army in the early 1980s and fit this exact bill. The equipment was created, fielded, and then taught at the school house. 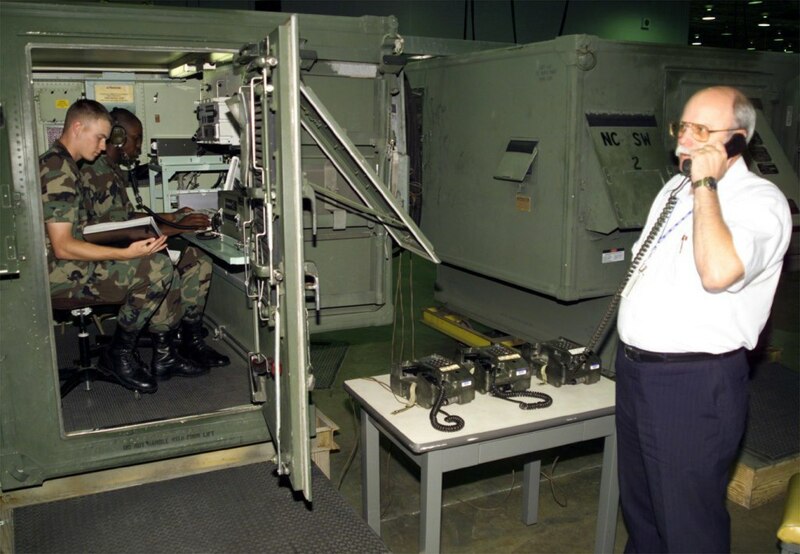 I can tell you that even then (after the equipment had been fielded for nearly two decades) that I was still not ready to operate it without additional training from my unit when I got there. While MSE did go through a number of incremental upgrades over the years (I personally got to play with THSDN (Tactical High Speed Digital Network) and ATM (Asynchronous Transfer Mode)) I would not say that any of these were actually “modern” upgrades at the time and even then they weren’t actually taught at the school house (as far as I know). The point is, that if acquisition and education have to be in sync, none of them will change or modernize. When WIN-T showed up in about 2004, its important to remember a few things. First, that WIN-T had been in the development phase for well over a decade by this point and that second, what was actually fielded as WIN-T really had nothing to do with it at all. What we today call WIN-T (at least the original Inc. 1 fielding) was something that was thrown together to fill an operational needs statement by 3rd ID for when it went into Iraq. After everyone saw what it was and what it provided, the rest of the Army said that they needed it too and it was eventually adopted to be WIN-T Inc 1. It was only in about 2006 or so that the school house started to teach WIN-T. There are a few reasons for the delay (I was actually directly involved in getting the first WIN-T training going so happen to know this part first hand). First, nothing in TRADOC is fast. It takes months to make relatively minor changes and a year+ to make significant changes. There are a number of reasons for that, some legit, others not so much but either way, that’s the way the military and government work. Second, the school house only teaches things that officially fielded (generally a program of record). WIN-T was around for many years before it actually became a program of record. Today WIN-T is still a program of record, but as noted above, as it evolves, it takes a lot of time to make changes to curriculum. Third, the operational Army is pretty much ALWAYS #1 when it comes to fielding equipment for good reason. This means that TRADOC is not. It’s hard to teach the operation of equipment if you don’t actually have the equipment and if memory serves me correctly the school house didn’t get its first set of WIN-T (It was a single set to support AIT, OBC, and WOBC) until 2006. Finally, the whole idea behind the current fielding of WIN-T is to have it stay “current” through a continual refresh cycle which means that everything that is noted above has to be constantly occurring too. Another thing to remember is that a lot of the equipment that we use all the time isn’t actually officially Army equipment. Operational Needs Statements (ONS) (the same thing that actually got us WIN-T) has become the source of many pieces of equipment that we use each and every day. While this equipment is purchased, it is often not part of a program of record which means it doesn’t actually exist in the eyes of the Army. It means that there was never a plan to purchase it originally, which means there’s not a plan to train it, and not a plan to maintain it. This equipment almost always has to fight to get funding each and every year as opposed to a program of record which has money budgeted as part of the regular Army budget cycle. I agree that there is absolutely a problem with the way that we get a lot of the equipment that we use each and every day. I can’t tell you the number of systems I was handed over the course of my career without even an instruction manual, let alone training on how to use it and support to keep it working. In every case, it has meant having to invest lots of personal hours trying to figure out how to use it and integrate it with everything else (which as a side note is something that each an every Warrant Officer should be doing anyway). I honestly think that we are left with just two choices; Either realize that this isn’t likely to change in the near-term (or really ever) and deal with it, or go back to the day’s of MSE where the equipment is static for decades on end. If we would have waited for Fort Gordon to start teaching WIN-T before we fielded it, I would hazard to think we would still be using MSE today.